The gauge and maximum acceptable shell length are inscribed on the right side of the upper barrel. NEVER USE A LOAD THAT EXCEEDS THESE SPECIFICATIONS. Magnum shells may be used so long as the cartridge length does not exceed the length inscribed on the barrel. Do not use 3" or 3 1/2" shells in a barrel with a 2 3/4" chamber, or 3 1/2" shells in a barrel with a 3" chamber. to accommodate steel shot loads. It is our opinion that most owners of a Browning Superposed B-25 prefer that existing weights and handling qualities of this fine shotgun not be altered. The Superposed shotgun must be used only with the gauge of ammunition inscribed on the upper barrel. The barrels and breech of this shotgun have been made with large safety margins over the pressures developed by established commercial loads. Nevertheless, Browning can assume no responsibility for incidents which occur through the use of cartridges of non-standard dimension or those developing pressures in excess of SAAMI (Sporting Arms and Ammunition Manafacturers' Institute) established standards. Always read the ammunition label and any enclosures with your ammunition to assure that the ammunition is appropriate or that there is no restriction for its use with your firearm. DO NOT SHOOT STEEL SHOT IN YOUR SUPERPOSED B-25. We do not recommend that steel shot be used in a Browning Superposed B-25 shotgun. 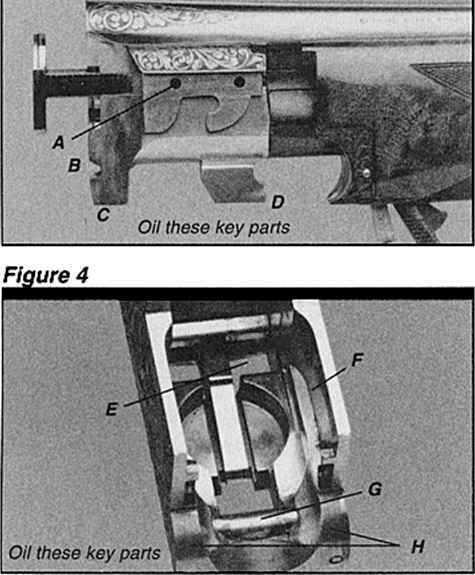 Browning chose not to increase wall thickness of the barrels ably less than .005 of an inch above the plane of the barrel (about the thickness of two sheets of paper). After the ring reaches this dimension, it generally stabilizes and does not become measurably larger after several thousand additional rounds have been fired. 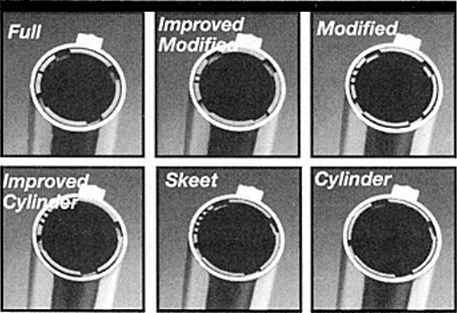 From our tests on many different shotguns, we could determine no adverse effect on the performance of a load because of this very slight ring, either in pattern or shot velocity. Note: The correct caliber designation of your Express rifle is clearly inscribed on the left side of the upper rifle barrel.